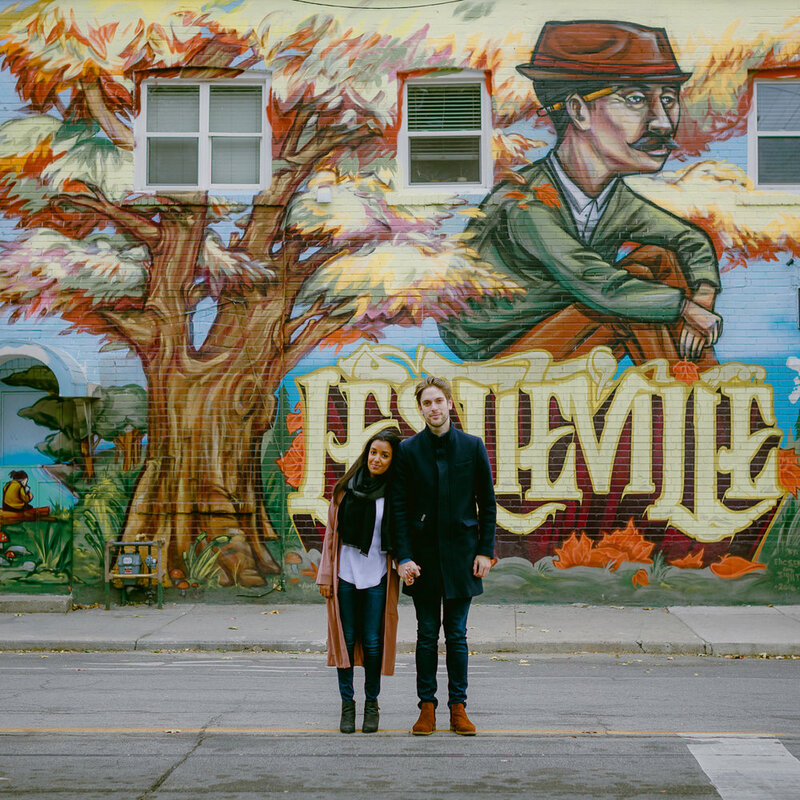 Leslieville is one of our favourite locations for engagement photos in Toronto. It’s a nice little neighbourhood in Toronto’s east end. While it’s not what one would typically call a wedding photographer’s dream such that there’s no castle nor photogenic parks, it’s charming in its own ways. 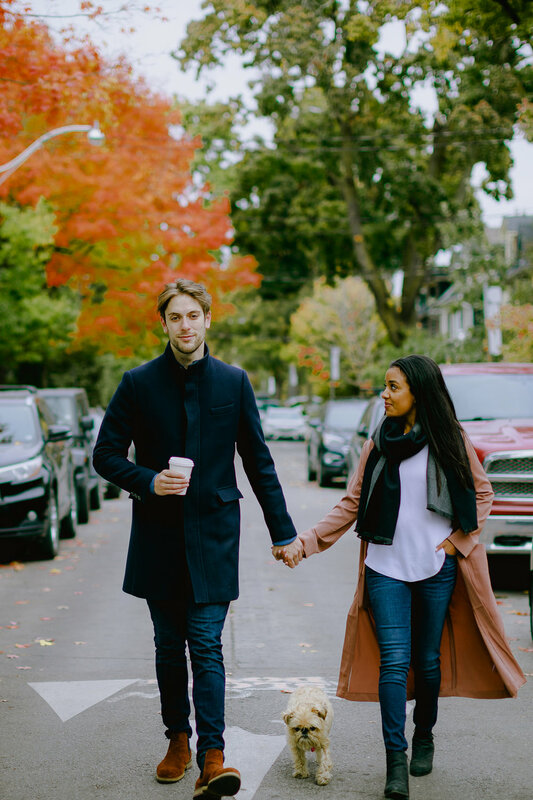 The corner cafes, unique boutiques and hidden alleys all represent Toronto’s downtown culture. 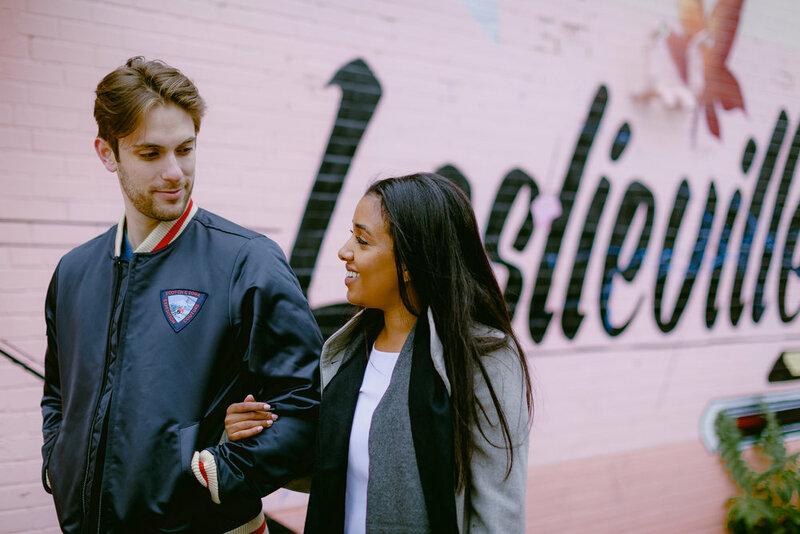 Toronto wedding photographers are best at picking up these little cues and make wedding and engagement photos that highlight Toronto’s charm. 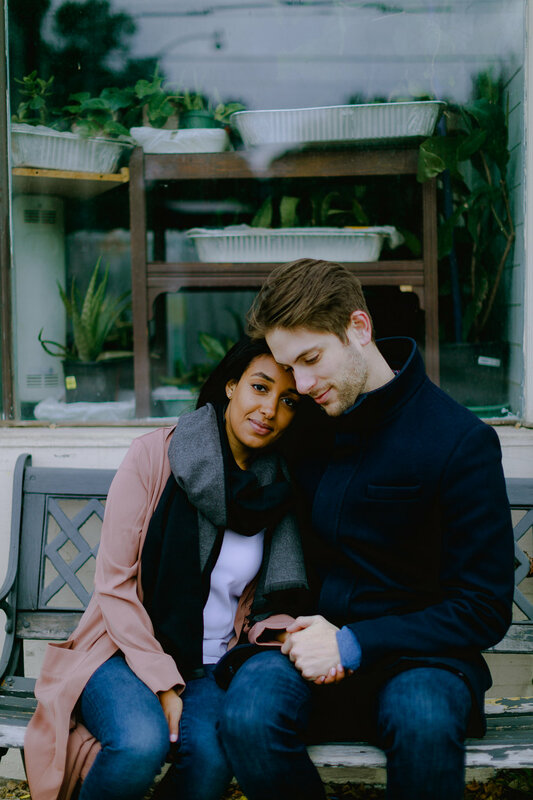 In Betty and David’s engagement session, they also bring their puppy along. 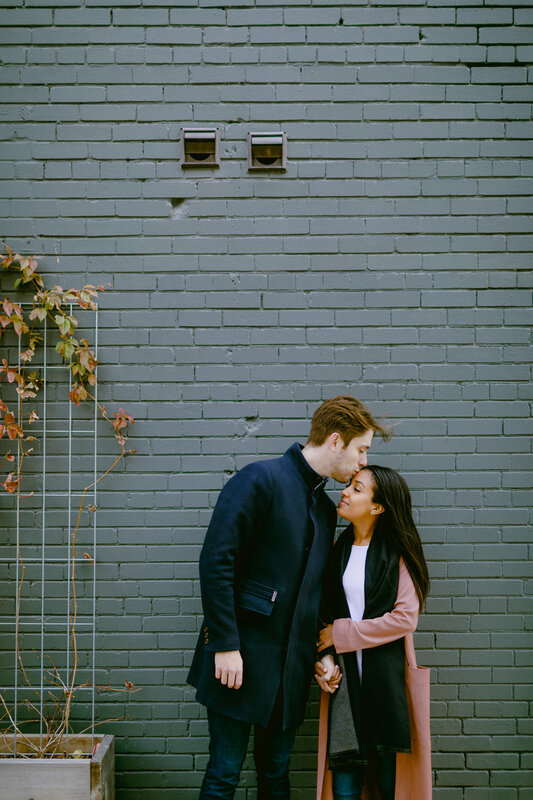 Engagement photos with dogs are certainly another thing that couples in Toronto favour. 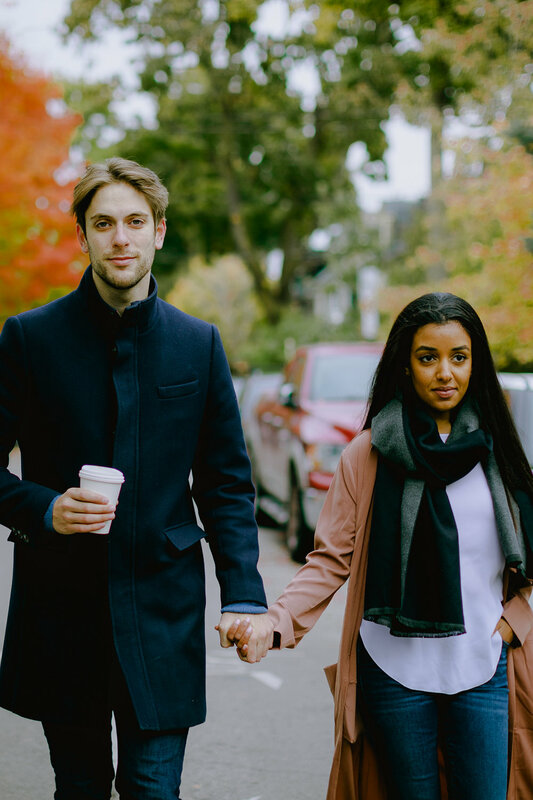 This particular session takes place in the Fall, our favourite season in Toronto. 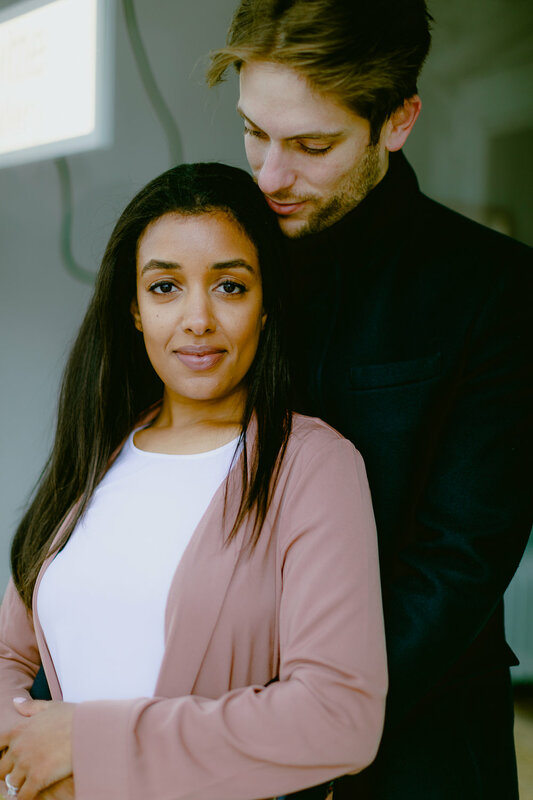 Together, all these elements make this session the best engagement session example we’d love to showcase.